Do You Want to be the "Featured Member" Here's Some POINTS! There is only "ONE WAY" you can be the featured member. It's Points! You have to have the most points... period! It is not based on your successes, your experience, your moral or ethical values, it's all based on points. I will tell you from personal experience, that points don't get you leads, and points will not get you referrals, it's the content of your Blog that is the most important of all. However, points do determine where you are placed both on ActiveRain and on Localism.com. If you are not in the top 10, you will not show up on Localism.com in your area. If you are not on the first page in your area, will you get lost in the crowd? How do you get enough points to be in the #1 spot in your area? Maybe even just being in the top 10 could be to your benefit! Let me say this, you're going to have to work very hard. How hard, depends on how many members there are in your area, where you want to be, and where you are now on the totem pole. First, your profile page is the starting point and foundation for your initial points. I quote the FAQ section that states, "We've incorporated a unique scoring system into the ActiveRain Real Estate Network to reward contributing members. When you create your profile it is automatically scored based on thoroughness, and also will be manually scored by a reviewer for quality." Build your profile as you would your own webpage. Remember, a web-page will pass away when you do, but your Blogs live on forever!! Point Summary - By checking your points summary the first time (located on your "My Home" page), you will automatically be given 50 points. there are some other "secret" areas on ActiveRain that will award points so click around on everything and explore. Navigation on the rain is the key to getting around quickly and efficiently. Invite others to ActiveRain- When they join, you'll get 50 points and then 10% of all their points forever. There are various ways to invite others, be sure to use the "referral link"when doing this. You must use this link to get the points. Then help those you've invited to be successful Bloggers, it helps their business, and gets you more points. You must Blog! You get 200 points for every post you place on your Blog. Make it a good post, because you'll get 1 additional point for every comment made. You are allowed 10 posts per week. If your post is selected as a "Featured Post" on ActiveRain, you'll get 400 points plus 1 additional point for every comment made. Content is king, so put some thought and effort into your posts. Commenting on others Blogs and posts. You are rewarded 25 points every time you comment on someone else's Blog. You are allowed up to 10 comments a day. That's an additional 250 points per day. If you comment on theirs, they'll comment on yours. These are the most important points of all. You will learn from other members, and establish great relationships in the process. Uploading Photos to Localism.com. You used to get 100 points for the first photo to an area, 50 points for the next 10 photos, and 25 points for any photos after that. This has been changed due to the mass amounts of photos that were being uploaded just for points. The quality was over-run by quantity. There are no points available for uploading photos, but there is the benefit of sharing "Quality Photos" of your area with visitors and viewers. Plus, when someone sees "Your" photo, it has your name and links them back to you. USE ONLY YOUR BEST QUALITY PHOTOS for uploading. Helping Other Members gets bonus points. When ActiveRain sees examples of members helping each other they may reward you points. This could be just answering questions, making referrals, etc. Promoting Active Rain. 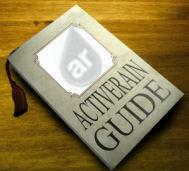 If you promote ActiveRain, let them know and they'll reward you with points for it. For example writing about AR in your off-site Blog, adding a link, or mentioning them in one of your marketing pamphlets, etc. ActiveRain rewards creativity. All this to say, if you create a post, (get featured), comment on 10 posts each day, that's a potential of 650+ points a day. My disclaimer on all of this is that it's about quality, not quantity. Remember that readers and other members will be able to tell if you're just after points, based on the time and effort you put into your work here. You can have the best of both worlds if you do it right. Here is MY POINT! To become the featured member in your area, and to use ActiveRain as a tool to increase your business, your network, and be successful, you need to become skilled in the art of Blogology. You have to become a blogger, and just Blog, Blog, Blog! You will get out of it, only what you put into it!